Open Water Dives are conducted at Homestead Crater or Aurora Reservoir depending on the time of year. You can also complete your Open Water Certification Dives in a tropical destination. Located just outside Park City, Utah, the Homestead Crater is a natural geothermal crater with 95 degree water. This is the ideal winter get-away. Our winter season runs from October through May. Typically completed at Aurora Reservoir, this is a great way to complete your dives locally without the added effort of traveling elsewhere. Our summer season runs June through September. Complete your dives in a tropical destination while on your vacation or through another PADI facility. Simply bring your paperwork to them for a seamless transition to your open water dives. Your choice of Open Water certification dives (if completing dives with us). Rental of the weights and tanks for the Open Water training (if completing dives with us). Scuba equipment rental for the Open Water Certification Dives. Additional fees for children age 10 & 11. Park pass fees for Aurora Reservoir. 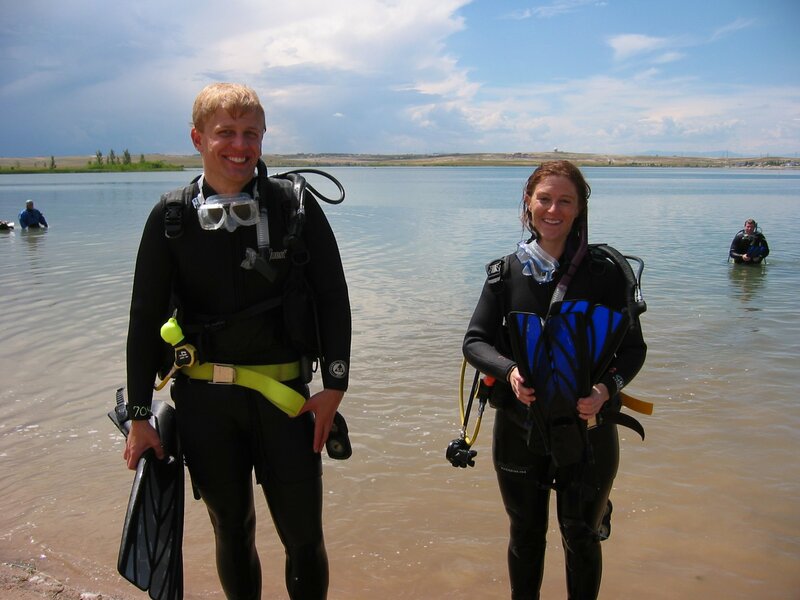 Call the store to register for your open water certification dives at 303-220-8282. Requirements: Rental of BCD, regulator, wetsuit, mask, snorkel and fins is not included.